The longest console generation finally comes to an end. Xbox 360 was the first to usher in the seventh generation of gaming consoles and it is the last to exit it. The new Xbox, codenamed “Durango” was subject of intense speculation with regard to its name. Xbox 720, Xbox Fusion, Xbox Infinity and so many other names were heard, but today it was confirmed that it will simply be called Xbox One. It was named thus because it’s the one device that will take care of all your entertainment needs, a device that integrates gaming, TV, movies and music. So without further ado, here’s all you need to know about the Xbox One! Quite unlike the PlayStation 4 reveal a month ago, Microsoft hasn’t shied away from giving us the full monty about the new Xbox. Everything, including the specs, the actual console and the controller were shown. The presentation today was more of a preview, with games and more being revealed at E3 2013. Still, we got a good look at the Xbox One and everything it’s going to bring to the table. 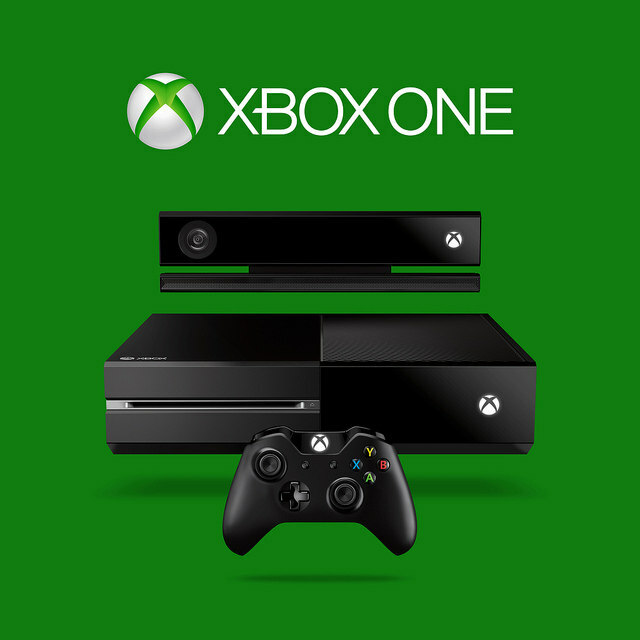 Xbox One will take over your home entertainment system to deliver a seamless entertainment experience. You can now switch from TV to a game to music to internet with the ease of changing a channel. Everything is amazingly smooth and lag free, and controlled entirely by voice and gesture. To turn on the Xbox One, all you need to do is say “Xbox on”, you can switch to your entertainment of choice via voice control, you can scroll pages by gestures, everything powered by the new Kinect sensor which is detailed below. Even snap view is now supported, so you can browse the internet while watching a movie, or make a Skype call while playing a game. The HDMI in/out port allows the Xbox to overlay an interface over your set top box, while adding new capabilities like voice control, internet integration and a programming guide. So now you can control TV without having to change inputs and such, neat! All enclosed in a sleek glossy black plastic, the Xbox One is simple yet great looking. This hybrid of 3 operating systems, as Microsoft puts it, makes all the magic happen. Seamless switching between games, TV, internet and music is made possible because of this unique platform. Unlike the Xbox 360, the Xbox One will ship with a Kinect. Since most of the interface is controlled by voice and gesture, the Kinect is now bundled with the Xbox One. And it’s a much more advanced and sensitive Kinect. It uses a single 1080P wide angle lens and a microphone that is so advanced, it absolutely blows the older Kinect sensor’s detection capabilities out of the water. The new Kinect is so sensitive, it can detect intensity of movement, upto 6 people at once and can even detect your heartbeat! The Xbox 360’s controller is widely considered to be the best among last generation, and it would be folly to change that completely. Fortunately, Microsoft has made only minor changes to the controller, which are mainly with design and ergonomics. The battery pack is now built into the controller, and secondary buttons like the Home button have been moved slightly. The biggest new feature, perhaps, is the rumble capable triggers. Traditionally, the triggers weren’t really connected to any sort of feedback, but the Xbox One controller has gone and included it. In the Xbox 360 generation, there were 15,000 dedicated servers running Xbox Live. 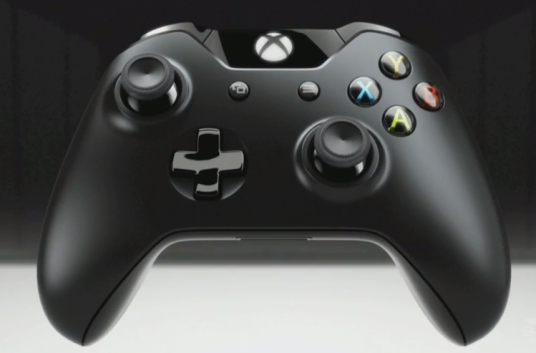 With the Xbox One, there’s going to be 300,000. These servers will allow you to save your game saves, movies, music and even games to the cloud. Now, you can even preload one game while you play another, no need to interrupt the current gaming session! Considering that Xbox Live is pretty much the leader in online console gaming, this will make it only better. Not much was revealed about games, but we reckon the actual games will be shown at E3 in less than a month. However, the next generation of the hugely popular Call of Duty series called Ghosts was revealed, with world first in game footage. Plus, it was revealed that EA Sports, in an exclusive partnership, would launch 4 new titles on the Xbox One with specially made content within a year. Remedy Entertainment, makers of the Max Payne series also revealed a new exclusive game called Quantum Break which will show off the next generation capabilities of the new Xbox. 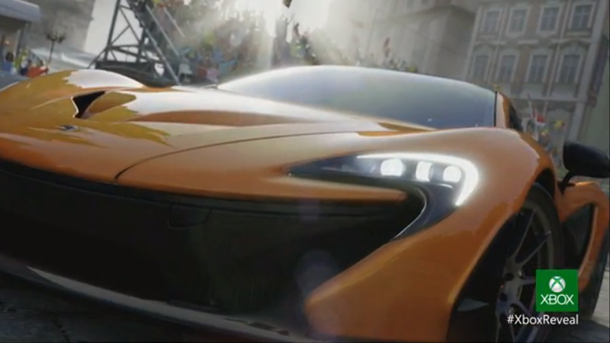 Finally, a big launch title, Forza Motorsport 5 was shown which looked amazing, to say the least. Microsoft promised that there would be 15 exclusive games for the Xbox One released within the first year of launch, of which 8 would be brand new IP’s. In a completely unexpected announcement, the 343 Industries head, now incharge of everything Halo said that a TV series based on the games will air this year. The best part is, it will be overseen by none other than the legendary Steven Spielberg! Also, one of the biggest bones of contention, the “always on” Xbox One rumor was confirmed to be just that, a rumor. There was a big hullabaloo regarding a statement from a (now) former Microsoft executive, who implied that the new Xbox would be always on and required an internet connection to use. Considering that internet connections can be spotty in many parts of the world, an always on Xbox could have tilted the console wars in Sony’s favor. But gamers can now rest easy since that isn’t going to happen. 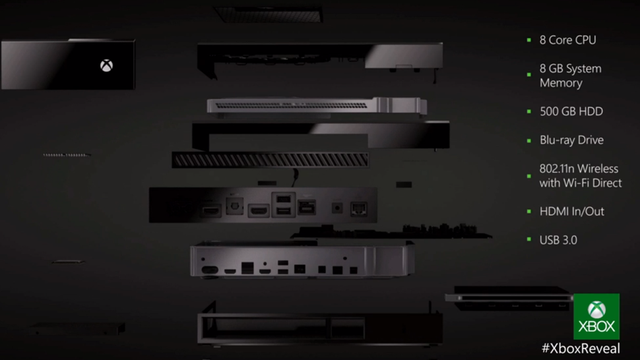 The Xbox One is shaping up to be one hell of a device. If everything works out perfectly and the game exclusives roll in, Microsoft could easily dominate this console generation. Notice how I’ve used device instead of console, that’s because the Xbox One is more than just a console, it’s an entertainment hub. While there are concerns about not being able to play used games and no backwards compatibility because of a change of architecture, we’re pretty sure they’d be addressed at E3 with more information about streaming and such. No definitive pricing was announced, but the Xbox One will make its way to stores around the world by the end of the year, just in time for Christmas. We can’t wait for more information about the new Xbox, let us know what you think of the Xbox One reveal! Samsung Galaxy Note Review – Is This a Tablet or a Smartphone? Waiting for the preorders to start in India. I’ll be the first one to buy. It’s so cool and futuristic. It’s the first real innovate thing done by Microsoft.